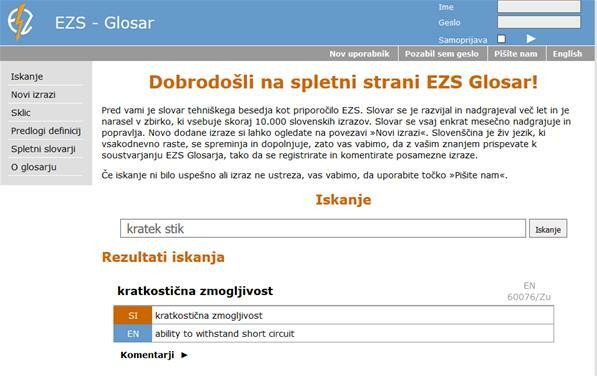 We developed an application that enables data exchange between the Employment Office of the Republic of Slovenia and contractors of employment rehabilitation. The goal of the project was the informatization rehabilitation completion report and included everything from studying the client's requirements, design overhaul, developing the solution, testing the solution and installing it on the client's server. The project included preparing a graphical design for the new webpage, transferring content from the old page to the new one and implementing all the requested functionalities of the webpage. The interface, used for editing content on the webpage (CMS) is the product of our own development and includes all the necessary functionalities: user administration, content editing, multilingualism, breadcrumbs, ... According to the wishes of the client, we also developed additional functionalities and adjusted the existing ones. In association with our partner Eurodesign from Azerbaijan, we were selected, despite tough competition, for the redesign and development of the website for the Ministry of Youth and Sports of Azerbaijan. 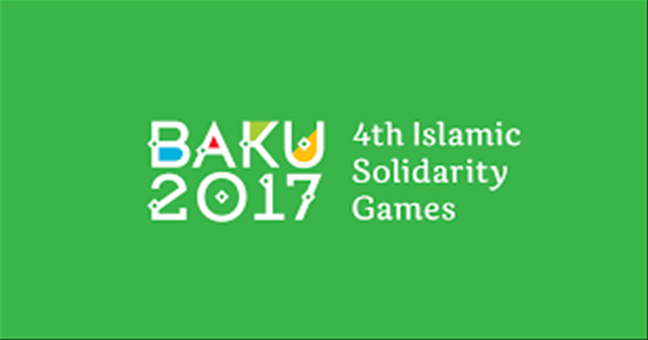 Development of the website for the 4th Islamic Solidarity Games, Baku 2017, based on a specified graphical design. In the second phase of the project, we created a new design for the webpage and implemented a so called slider and some other advanced functionalities (news, video content, "Join us", "Call to action", ...). For better scalability, the site is hosted on Microsoft Azure. We developed a web application for unaddressed direct mail delivery, through which customers get an informative offer and prepare distribution lists, which the post office then uses to distribute the mail. We overhauled the corporate website the company uses to present its services and solutions. To edit the content of the website, the client now uses a CMS that is the product of our own development. We developed and online glossary for technical terminology with the option of importing and editing terminology. It also enables adding and editing comments. The development of the Baku City Circuit webpage was one of Kompas Xnet's highlights of the years 2015 and 2016. The project included the development of the page and two phases of functional upgrades. The website used Windows Azure, which enabled the website to be properly configured for the massive increase in traffic on the page during the time of the race. The website was awarded with the NETTY award in 2016 in the category of best sports website. We developed the www.barbaraguncar.si website for a candidate for the mayor of the city of Kranj in the local elections. We adjusted the client's website for mobile devices. We overhauled the website of the Association of Female Managers and migrated content. Registration system, which enabled registration and purchase of tickets. One system covered 3 different types of registration. Integration with the provider of SMS services. Application for distributing conference materials to attendees. 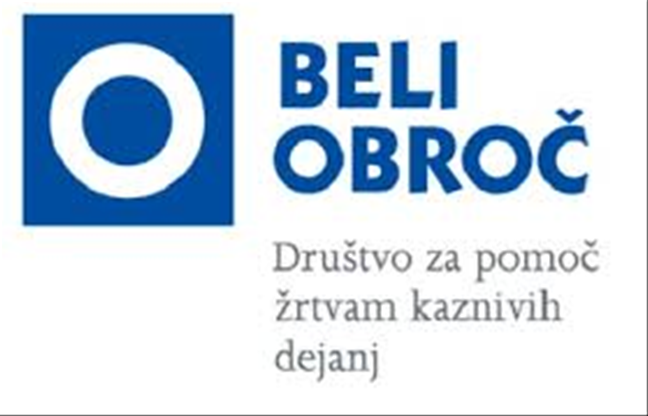 We developed an application to support the Čebela (Bee) project, which brought together various merchants with the aim of promoting and selling honey plants. Upon purchase, each customer received a code which he could use to register online and view the location of his honey plant on a map. 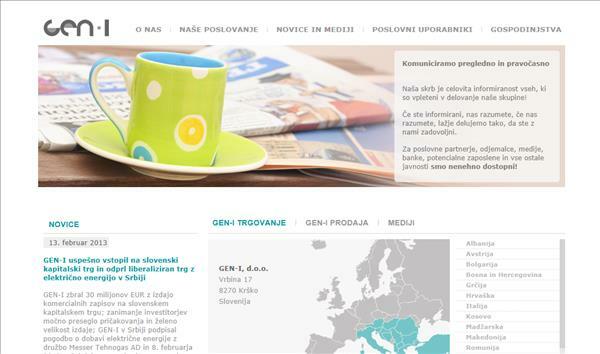 We redesigned and updated the website of Unicef's Slovenian branch. We adjusted it for use on mobile devices. 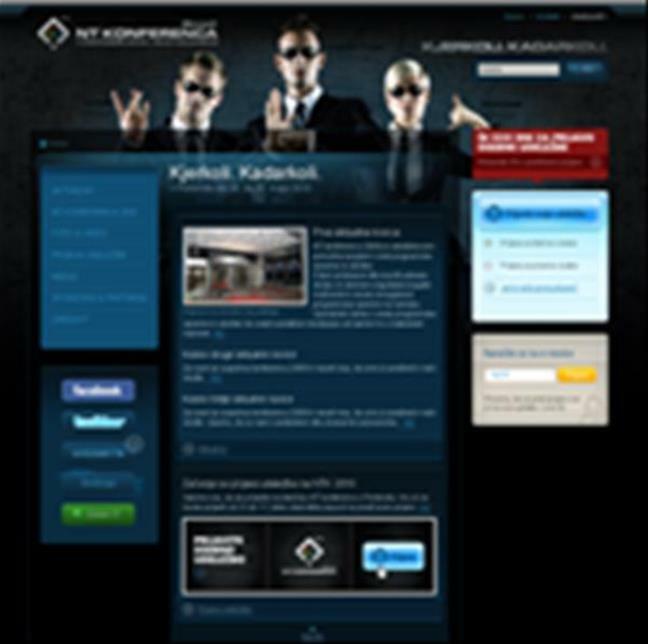 Since the handover in 2010, the company has been updating the website's content by itself with the help of an easy to use CMS. We performed regular maintenance, implemented minor patches and upgrades. 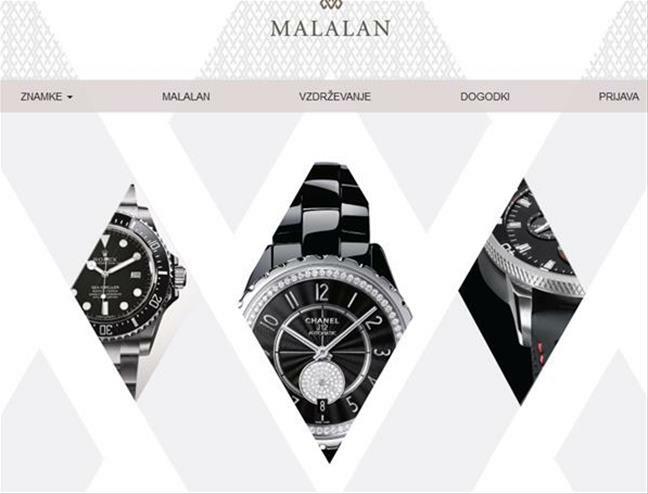 We developed a new website based on the provided graphical design. We developed a website that enabled people to get information about the conference, register for the conference and personalize their conference schedule. Additionally, the website displayed news, content and enabled mass mailings. Editing the website's content, news and conference schedule. A system for communicating with the backend payment system. A system for integration with the access control system. Integration with the booking system of hotels. 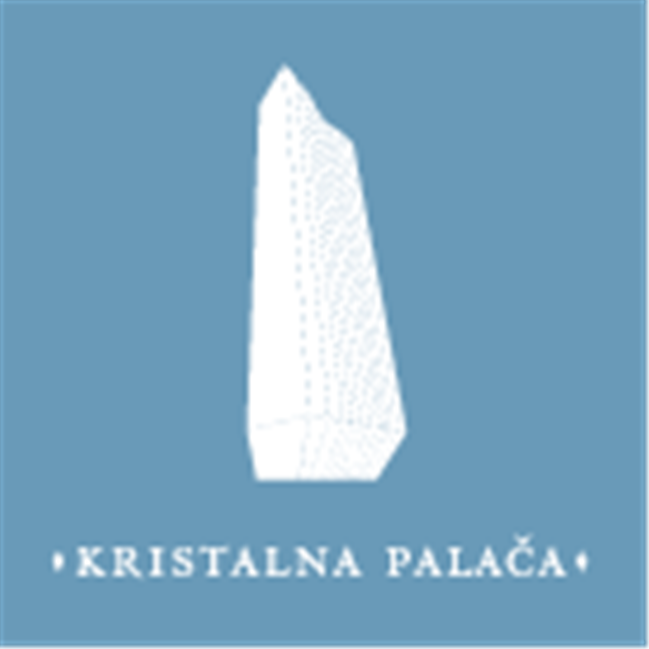 We developed the website for the Crystal Palace, currently the tallest building in Slovenia, that offers visitors all the necessary information about events and offers. 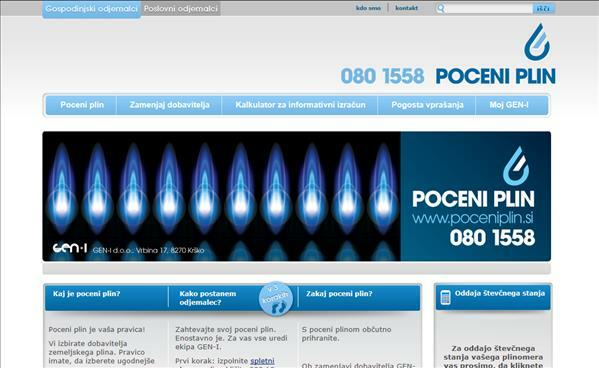 We developed the www.poceniplin.si website, which Gen-i uses to market it's gas supply. The site is hosted on Windows Azure. Customization of the URSP transaction system - adjustments to the refreshing of distribution copies of data inside the IO-module for the needs of the e-Sociala project as part of the ESS operation for interoperability and e-exchange of data. Microsoft Slovenia for GEN-i d.o.o. 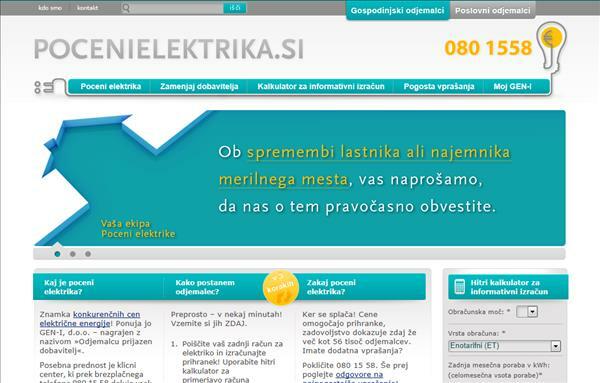 We developed the www.pocenielektrika.si which Gen-i uses to present it's services to households and businesses. The site includes a calculator where people can make an informative calculation of their electricity costs and fill out a form to change their electricity provider. The site is hosted on Windows Azure. We developed the www.gen-i.eu website. 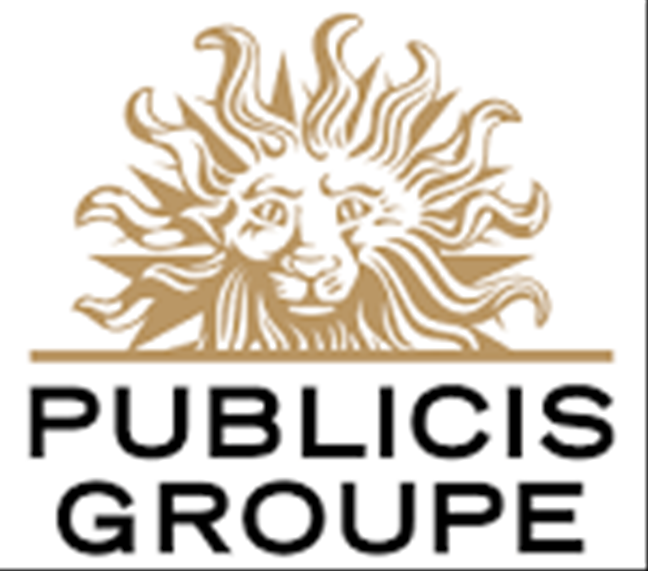 It includes a multilingual presentation of the corporation and a multilingual presentation of all branch offices in different countries. The site is hosted on Windows Azure. 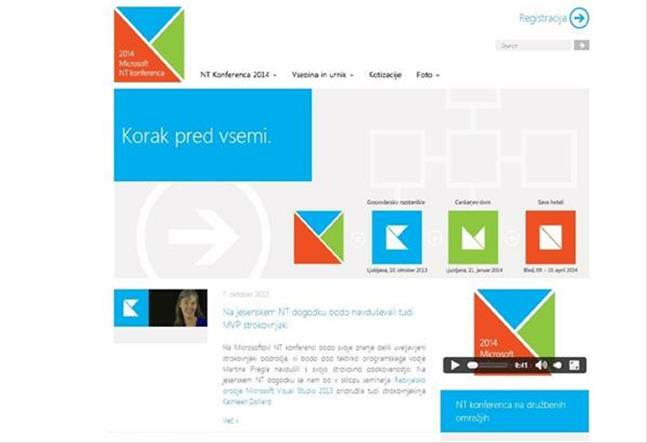 We developed the website for the 2011 NTK conference, that had its own CMS and was hosted in Microsoft Azure. Besides containing basic information about the conference and enabling registrations, the website also enabled conference participants to create their own personalized schedule. 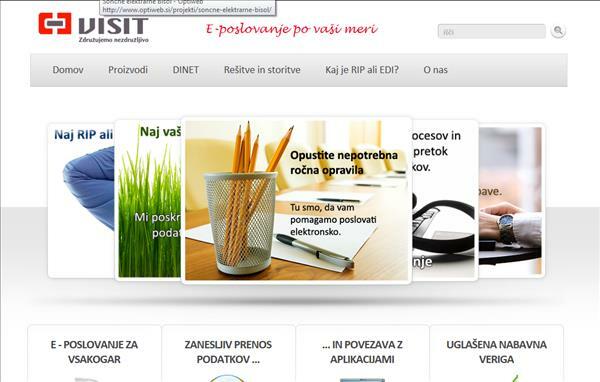 In association with Publicis, we developed the webpage www.btc-city.si based on the provided graphical design. 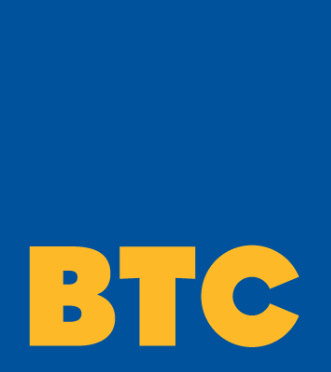 The website for the BTC City shopping center enables people to find a list of all shops, sorted by categories, read the latest news about the shopping center and register to the centers mailing list. 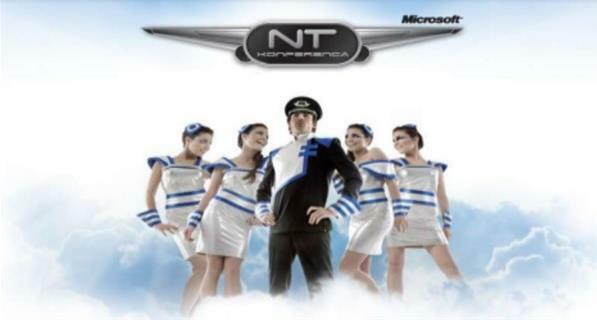 The website is hosted in Microsoft Azure. We have been taking care of regular website maintenance and have developer numerous additional functionalities and modules. We developed the www.picasso-turizem.si website for the Picasso restaurant and pizzeria in Banovci. 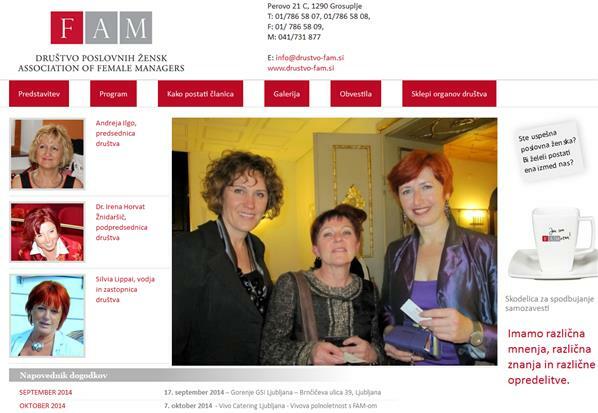 The Slovene Association for Quality and Excellence entrusted us with developing their website, www.szko.si, which they use to present their activities and which people can use to register for various events and trainings. The client wanted to have advanced options for catogirizing his contacts and sending mass mailings to selected contacts. We developed a desktop application, which allows people to filter contacts based on different categories, mass importing of contacts and exporting them to an application for sending email. 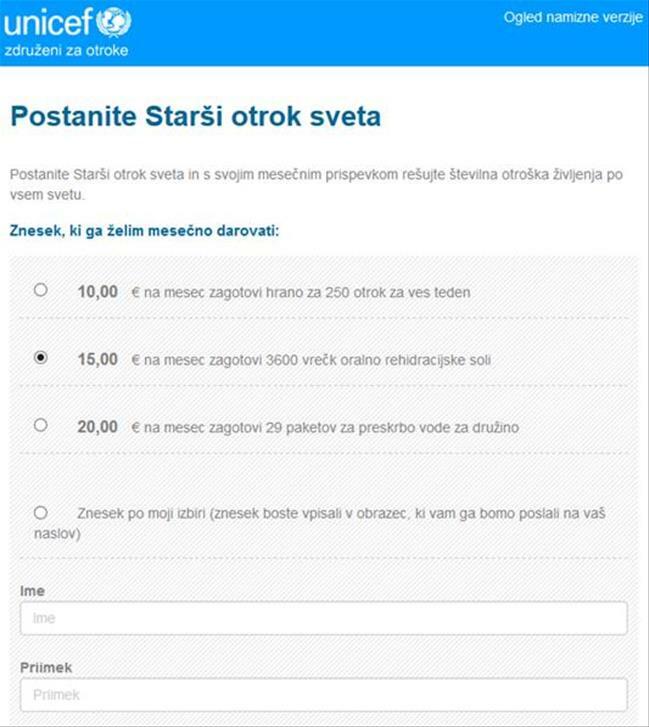 We developed a website for Unicef's Slovenian branch, that includes an online store, the option to make donations using various payment methods and a presentation of all Unicef activities around the world. We developed an application meant for picking a color for your vessel, based on the type of vessel you have. This part of the application functions as a desktop app for touch screen devices, while the other part of the app is meant for web content administration, so the client can edit the content for all of his events from one central location. An overview of speakers and sessions. 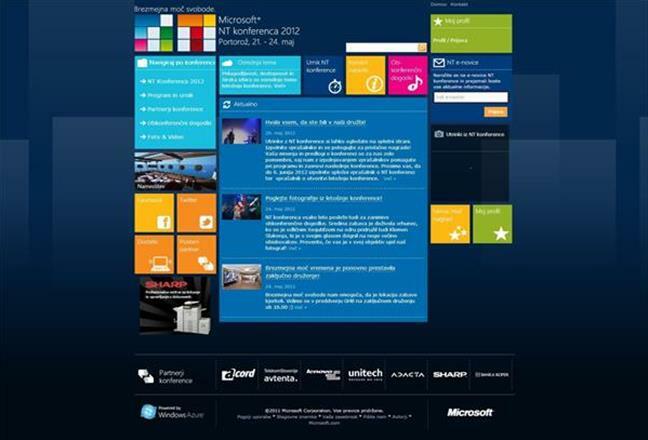 For this website, we received a special recognition from Microsoft Slovenia. 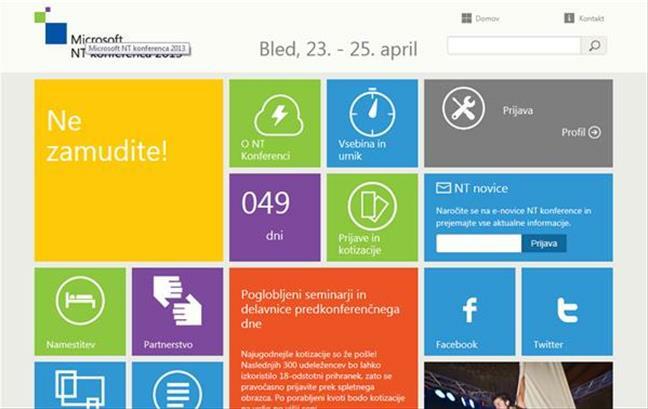 Additionally, Microsoft Slovenia presented the website as a case study for using Microsoft Azure technology. We upgraded the web parts and complemented the built-in styles for text formatting. We also took over the hosting and maintenance of the website. The website was our donation to the society. We developed an application for electronic registration and monitoring of requests for transportation of passengers with buses, for viewing and processing order forms, ordering bus transportation at contractors and viewing statistics. We developed an online bookstore that people can use to order textbooks from the Touchstone series. We developed an application that allows the client to edit show descriptions, monitor conducted performances and view monthly reports. We developed an application that the client uses to register the arrivals and departures of employees and allows management to view weekly, monthly and yearly reports. Both regular working hours, as well as leave, absences and other things are monitored. We devleoped an application that concrete plant use for analyzing data, issuing referrals and printing out monthly reports. We developed an application that is part of the documentation system and allows the client to split incoming bills by individual costs, confirm and decline the splits. We developed an application that enables reservation of tour guides and keeping a database of them. We updated the existing Leaders and VHF application, so that it enables querying of information from Microsoft SQL Server 2005. We developed an application for keeping records of boats and issuing registration sheets. We developed an application for a standardized collection of information that is later used to organize transfers and allow for a simplified overview of available vehicles. We developed an updated version of their existing Kongresi application, which we designed in .NET. It enables the congress organizer to enter all relevant congress information, such as possible accomodations, all planned activities, prices etc. into an SQL Server database. Interested people can then register for the congress and select all the activities they are interested in. We developed an extranet solution so that Kompas subsidiaries around the world can access a common database of hotel prices around the world. It allows for a simplified search by price. 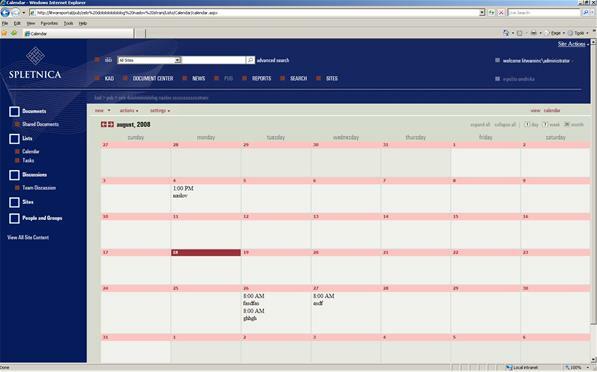 It was developed in ASP, uses a Microsoft Access 2000 database and runs on Microsoft Information Server 2000. 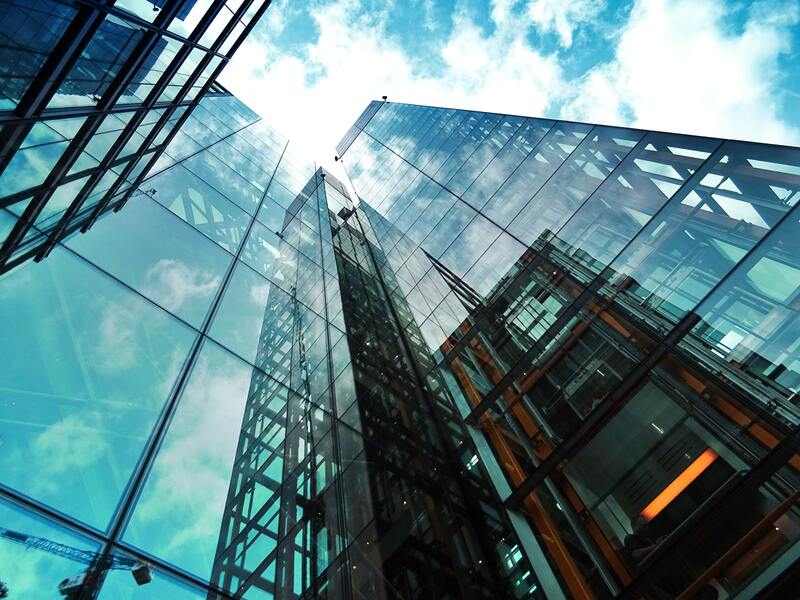 In order to help Kompas comply with the ISO 9001 standard, we developed a modular intranet application, that offers employees a rich palette of information that they need to work efficiently. The intranet was upgraded in 2004.